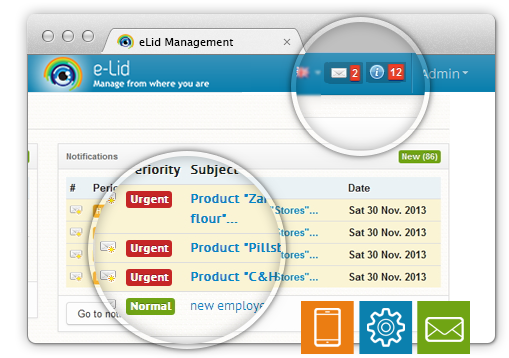 Manage From Where You Are! 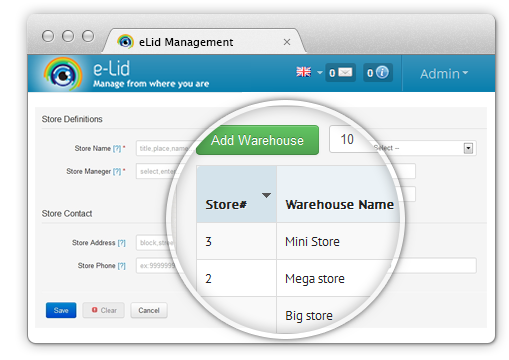 eLid is a cloud based warehouse management solution, allowing organizations to manage complex warehouse systems easily and efficiently from their web browser. Receive smart notifications (export priority, expire date, decrease items…etc.). 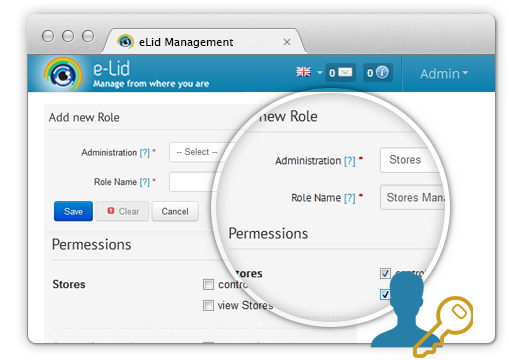 Elid support you to create rolls in order to control the access of the employees who login to the system based on their authority, position or any other criteria. You can add user with read only access, full access, or a specific access. 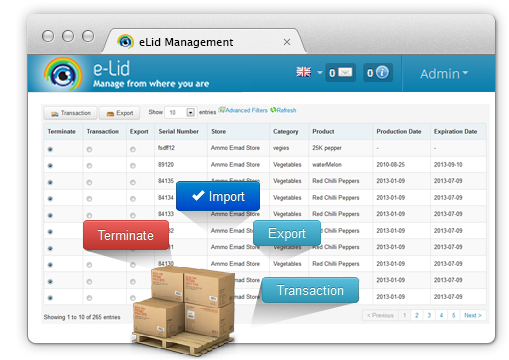 The Elid allows you to access your store with all kind of transactions (Export, Import, and Return), with keeping a record for each transaction information. Which will help you to easily follow up the status of the store and the transactions. 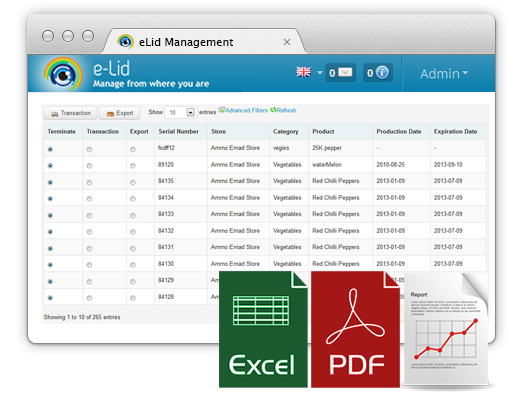 Elid support the user with a very smart reports with multiple option and user customizations, in addition to the graphs viewing of the reports. Moreover to that you can have an excel or PDF copy of those reports by one click only. 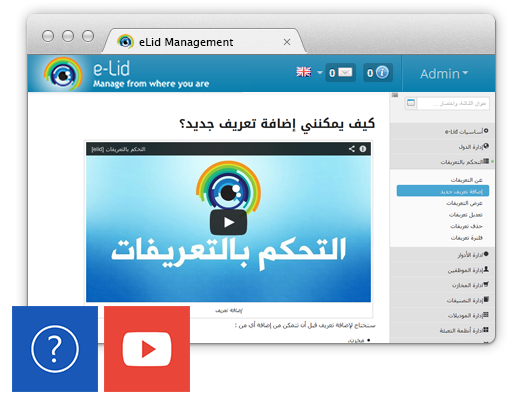 Elid system provide a help center services in order to assist you to start a self-training and find the guidelines for each process, in order to overcome any difficulties you may have. Also you are mostly welcome to contact the technical support team for and more information. You can manage and follow up more than one store in the same time, also the process of moving the inventory from one store to another becomes a manageable process and it can be done easily. Elid has been developed to include a very intelligent notification system, which notify you with events and actions was happened. And it can notify you about pre-defined action like the expire date or a certain level of quantity. 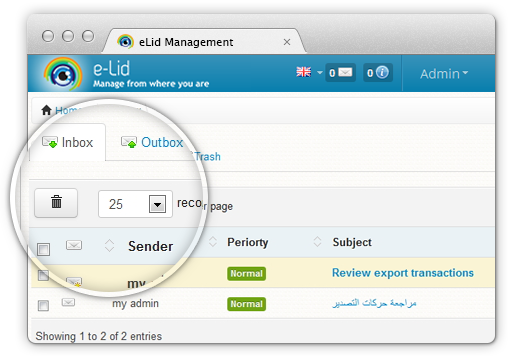 To save your time and effort, Elid support you with Mailbox features which allow you to exchange mails and messages with the users of the system. 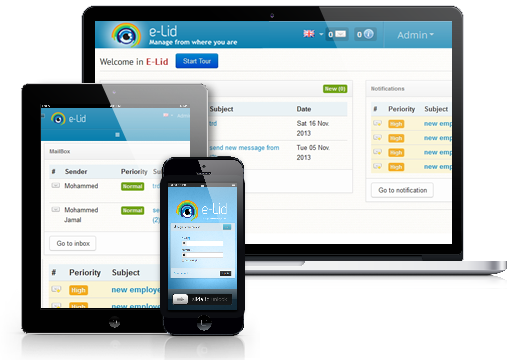 E-lid is fully responsive, so it automatically adapt with different screen sizes, regardless to the device that you the user use, moreover each content & layout element in E-lid has been optimized to look great in its responsive variant.